You may be wondering, “How can I learn English?” Well learning English really is an easy task. Everybody has a method or an idea on how to learn English language. There can be so many ideas of how to study or how to memorize that it blows your mind. Here are some tips on how to learn the English language. The important thing to remember is to find a method that works for you and stick to it. The very first place to start is with the alphabet. If you don’t have a basic understanding of the alphabet learning the words will be tough. Learn how to pronounce each sound that each letter makes. Then learn how to combine several letters together and how the sounds work. Once you have a solid understanding of the alphabet it is time to move on to vocabulary words. Learning vocabulary words and what each word means is the easiest part of learning the English language. Start off with just words and five to ten words daily. It is important to carry the words with you wherever you go and study them when you have free time. After you have learned some words it is time to start in on the grammar of the English language. Grammar takes time to learn, so do not rush it. Start off by learning what types of words there are and what they do. For instance it will be important to learn what nouns, verbs, and adverbs are. 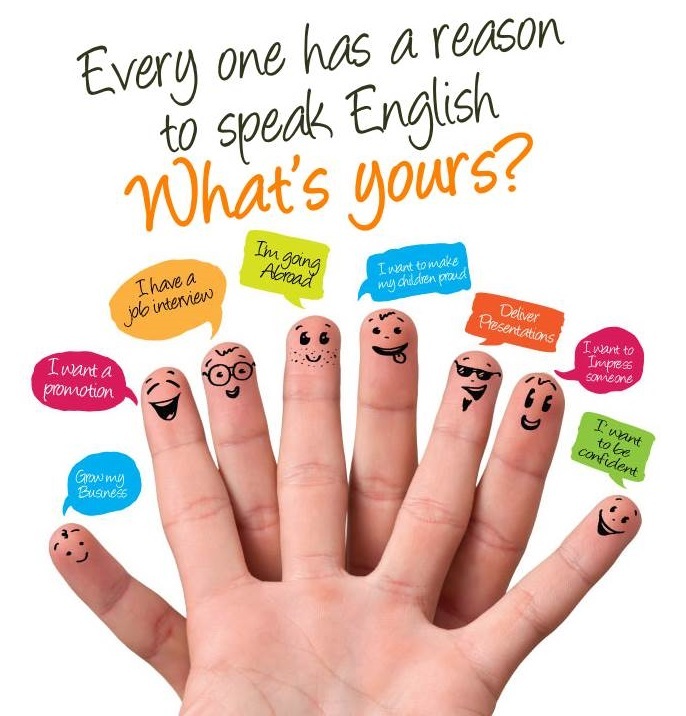 You will also learn about subjects and other parts of speech that make the English language fun to learn. People will not speak to you slowly as if you didn’t understand English well. You will have broken the barrier between people who speak “Book” English and native speakers who want to speak casually and be at ease with you. This course is for one who can understand, speak, write and read average English, and want to further enhance their English language skills. This course helps you to expand your vocabulary, get correct diction, frame correct sentences, and speak fluent and neutral English. It gives you enough practice on group discussions, email writing, developing presentation skills. At the end of the course you will be able to speak fluent English in any given situation, get a good command over grammatical errors, speak neutral English and will have a better understanding of the British and American accent. In short you will be able to express your ideas and thoughts more effectively. To speak English well, a number of different elements need to work together: knowing (and choosing) suitable vocabulary, using the right grammar and sentence patterns, and producing the correct sounds, stress patterns, rhythm and intonation. You have to work on these individual elements if you want to see improvements. Speaking is about interacting with another person, and involves listening as well as talking. Check that the other person is following, by using conversation strategies like emphasizing key words, rephrasing, or using expressions like You know what I mean? or Don’t you agree? Non-verbal communication is very important for effective speaking, even for native English speakers. Use gestures, body language and facial expressions for explanation or emphasis, and try to read what the other person’s body language is saying. Music is a great way to improve your speaking skills, practice the rhythm of the language and learn some useful expressions. Look up the lyrics (song words) to your favorite songs on the Internet, and then practicing singing aloud. You need the right attitude to improve your English. Look for every opportunity to practice speaking, like talking to people at parties, approaching a foreigner who looks lost, or just putting up your hand when your teacher asks a question. Even though you might not like hearing your own voice, this is a very useful way to find out what’s wrong with your spoken English. Record yourself speaking and then listen to the tape, or ask a native speaker for some advice. Record your thoughts in English before you go to sleep at night. You can play the tape at the end of the year to look back on important events, as well as monitor your English progress. If you are really serious about becoming a good English speaker, you need to meet people you can speak to in English. This does NOT only mean native-speakers, though. English is spoken by many more people as a second language than as a native language, and being able to understand different accents is very important. If you feel you need extra practice and want to interact with other English learners, why not join a language class? We have plenty of online courses. Don’t think you can learn to speak on the Internet? 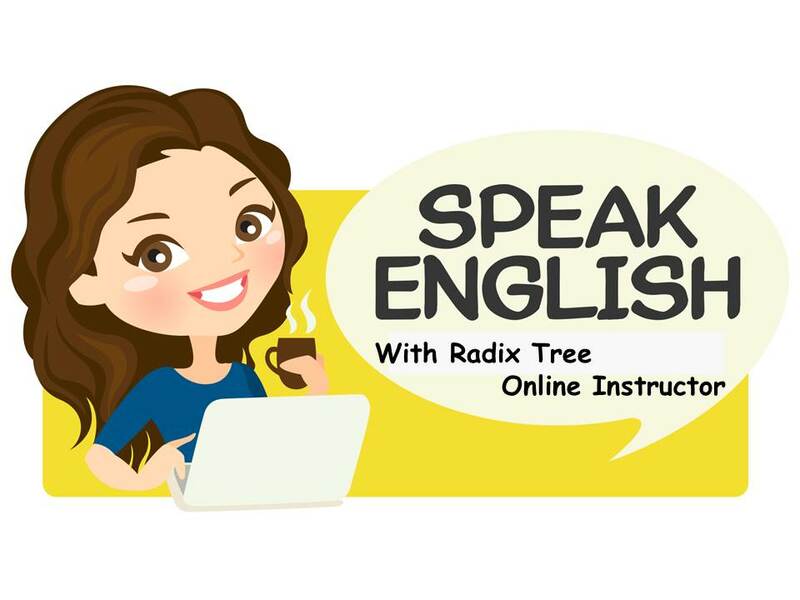 In Radix Tree teacher-led classes, all you need is a computer system, internet, headset and microphone to talk to the world! While you will Learn to Speak Fluently in English with Confidence, Correct Pronunciation and Intonation ! Click the Link Below to Set-up your Trial Class.